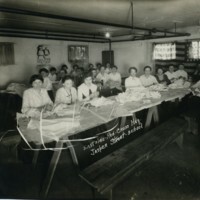 Ladies Sitting Around Picnic Tables Making Bandages, Written on photograph "Eastside Red Cross Hdq. Jasper Street School." TThe Decatur Public Library owns and maintains all copyright on materials featured on omeka.decaturlibrary.org. These materials cannot be used without prior consent. Please contact the Local History Room at the Decatur Public Library for more information. 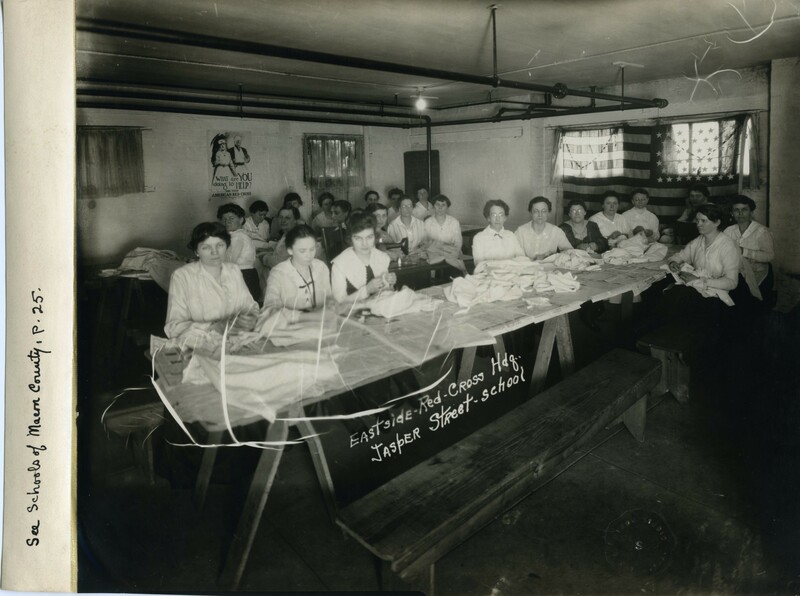 Bijou Studios, Decatur, IL., “Eastside Red Cross Headquarters - Jasper Street School,” Decatur Illinois Public Library Local History Photo Collection, accessed April 24, 2019, http://omeka.decaturlibrary.org/items/show/19.